The quicker you provide pricing, the more orders you will capture. 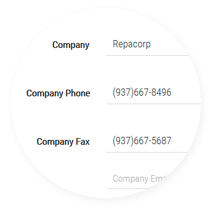 Repacorp provides a free digital label quote module to our distributors, so that your customers can receive instant online quotes from your website! 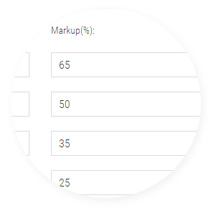 If you prefer not to link pricing on your website, you can link the module to your intranet, or place the module on your toolbar. You’ll be able to provide instant pricing while on the phone with your customers! Going on a sales call? The quote module is formatted for tablets and mobile devices. 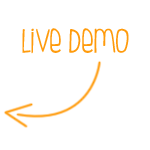 With a few clicks, you will be able to provide a quote, and then email the quote to your customer. The email will be waiting in your customer’s inbox—reminding your customer to complete the purchase, and how efficient and convenient it is to do business with you. Setting up your quote module is easy. There are only 3 screens to fill out. 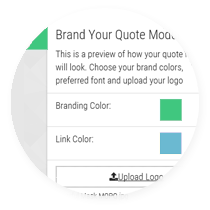 When the setup is complete, you will immediately be emailed code that enables you to link your branded quote module to your website. For technical support, or if you would like help setting up your module, please call 1-800-323-4415 Monday through Friday 8:00 AM -5:00 PM EDT. Page URL that will link to the quote module.